​Kobalt is a cutting-edge digital network designed for advertising that creates the Omni-channel experience for the consumer and allows the advertiser to control multi-channel campaigns from a single interface on the web. The system links today’s most advanced Digital Out Of Home (DOOH) network of billboards and digital displays with capabilities to integrate to today’s most prevalent channels of mobile, web, and social networks. Advertisers manage their promotional inventory from one interface, creating cohesive advertising campaigns. Content can be distributed as a blanket across the network or dispensed regionally or to a specific location and display. Real-time reporting ensures campaign performance is always optimized because content can be changed in real-time. If one promotion is doing better than another, simply switch to the better performing advertisement to ensure your best return on investment. Content Management and Distribution is the typical standard of media distribution in today's DOOH service options. Content messaging is scheduled and distributed to several media channels, however, this typically doesn't include an interaction on the part of the consumer. Content can be distributed via a web-console to one specific display or the whole network. 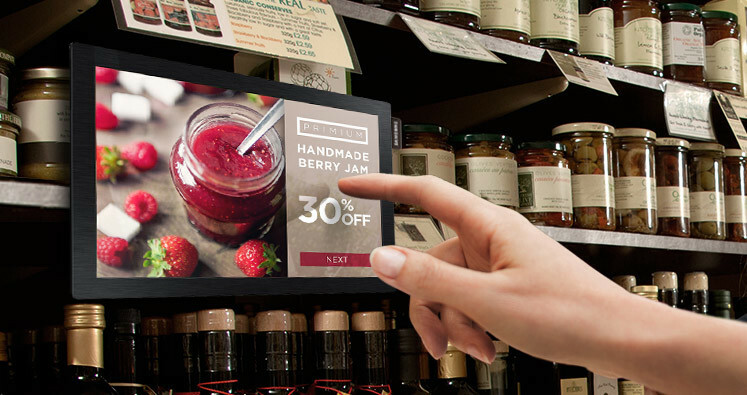 Interactive Campaigns involve custom programming that engages consumers through functionality such as touch screens, blue tooth, and kiosks. Interactive functions can be executed through a variety of options. Kobalt can program a process flow to direct an anonymous customer through various choices that guide them to the most relevant product, service or information. Delivering Relevant Content Kobalt platform offers the ability to integrate with data driven websites, loyalty programs, consumer databases, surveys, lead generation campaigns like sweepstakes, as well as integration with mobile applications. The data driven network enables two-way communications in real-time that distributes targeted content to a specific consumer engagement while simultaneously procuring data from each interaction. Content can be pushed via a scheduler or pulled dynamically based on an individual's personal interaction in order to serve relevance and/or information. Our data-driven, duplex network enables advertising clients to present relevant content or promotions through real-time decision practices. Kobalt can connect to a customer data repository or create a parameter driven system to determine the best content for any customer. Custom Algorithms Kobalt has developed custom algorithms for special requests. For example, Kobalt developed a prize management algorithm that correlates available inventory with prize expiration to maximize prize distribution between the inception and expiration dates.